Yesterday, Automattic launched Jetpack – A cool plugin which will now bring some of the most coolest features from WordPress.com platform for WordPress.org users without going through the need of installing multitude of plugins or worrying about updating them. Jetpack is aimed at combining lots of features ina single plugin and under a cloud based update because the features available via Jetpack will be available directly from WordPress.com. [That means if WordPress.com goes down, your blog also will also face issues even if you are hosted on your own server! Yikes! But then WordPress.com is pretty stable. Don’t worry for that now.] You will need a WordPress.com account to install Jetpack. Currently Jetpack offers the following features of Wp.com – WordPress.com Stats, ShortCodes, After the Deadline, Gravatar Hovercards, Twitter Widget, Shortlinks, LaTeX, Sharedaddy with promise of bringing more features soon. They also have hinted to bring premium services as well. I gave Jetpack a try and realised that many plugins will be rendered useless with Jetpack which is a big plus. And if you are using a WordPress.org alternative plugin of the feature already in Jetpack, it will automatically detect it and disable it with a message prompt. It disabled the Wickett Twitter Widget plugin when I ran it. Shortcodes in itself will render your Video, Audio player and Contact form plugins. But if you don’t want any feature of Jetpack, you can disable it easily and keep your current plugins running. Here’s one more suprise. 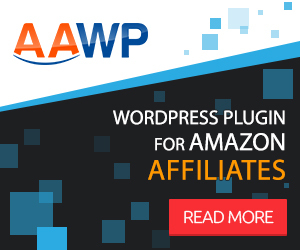 For the first time, A plugin like this will be available with the automatic installers offered by Webhosts automatically. Means you will be saved the trouble of installing Jetpack if you are installing your blog using Auto Installers offered by any of these Webhosts – Hostgator, BlueHost, Go Daddy, Media Temple and Network Solutions. So Go ahead and Test Jetpack. Let me know your views about it in comments. Sounds great will give it a shot right away. I have few blogs and hope it really is what you have mentioned. Thanks for sharing,.